Have you ever gone out on a date with someone you believed was single and available only to find out their divorce wasn’t final? 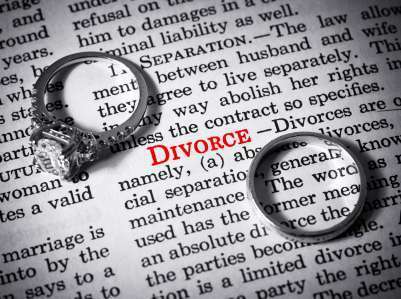 Recently I wrote an article about this epidemic on Huffington Post called, “Is Your New Beau Separated, Divorce Pending?” ?This status of “Separated, Divorce Pending” does not exist on any of the online dating sites and I invite and challenge the Internet dating industry that permit separated individuals as members to add this status. Let’s see who jumps in first to add it on their menu. If you have experienced this phenomenon, I’d like to hear from you. Now, onto the original article from Huffington Post. It?s becoming an epidemic is appears. Profiles of singles on online dating sites with the status of ?Divorced,? when in reality they are ?Separated, Divorce Pending.? It?s not just happening online. A recent friend of mine was set up on a date with an attorney. During dinner he mentioned his ex-wife in the conversation. When she innocently questioned him about how long he had been divorced, there was a moment or two of silence, followed by, ?Well, I?m, um, well, not really divorced.? He added, ?It?s complicated. A financial matter, but we?re not getting back together.?? A week later another date with a man she met online also admitted over dinner that his divorce was not final. When she asked him, ?Why don?t you state your status as ?Separated?? he replied, ?Because no one will go out with me if I say I?m ?Separated.? In coaching men and women who are in that in between stage that I call, ?Separated, Divorce Pending,? I tell them to be honest. State you are ?Separated.? If your divorce is almost final, add that into the body of your online dating profile so a potential date or mate will know that there?s truth-in-advertising before responding to your email introduction. More often than not, someone who is separated might need to have a transition person, that one very important relationship in between his or her marriage or long term relationship which typically runs its course and ends. Not all transition relationships end, but if you start out with honesty, you?ll have a greater chance of success regardless of the length of your relationship. As one who also experienced the ?Separated, Divorce Pending? phenomenon with a man I met online, I personally know what it feels like to find out that an apparently available and compatible single ended up being ?Separated? instead of ?Divorced.? On our fourth date when it looked like the relationship could go somewhere, I said, ?I have a feeling that the ink is barely dry on your divorce papers.? My date back peddled and said he hadn?t filed yet, even though they were separated for over a year. My heart sank and I wished he had told me the truth from the beginning. So I encourage those in transition to be authentic in representing your relationship status. And I challenge the online dating sites to create a new category for the relationship status of ?Separated, Divorce Pending.? It sounds better than ?It?s Complicated? and with the large amount of singles in dating in transition; I believe it deserves a category of its own. Can you relate? We’d like to hear your stories.